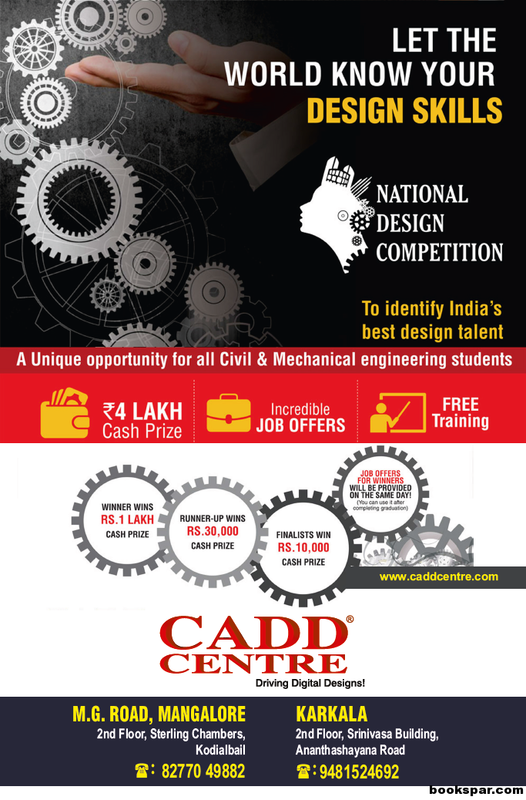 Mangalore, 13 February 2016: CADD Centre, MG Road, Mangalore and CADD Centre, Karkala have organized National Design Competition to identify the Nations best design talent. This is an opportunity for all the Civil and Mechanical Engineering students to showcase their talents. The event provides lot of opportunities for the Students. 3. Free training for the students.